Customize to match your shower colors! 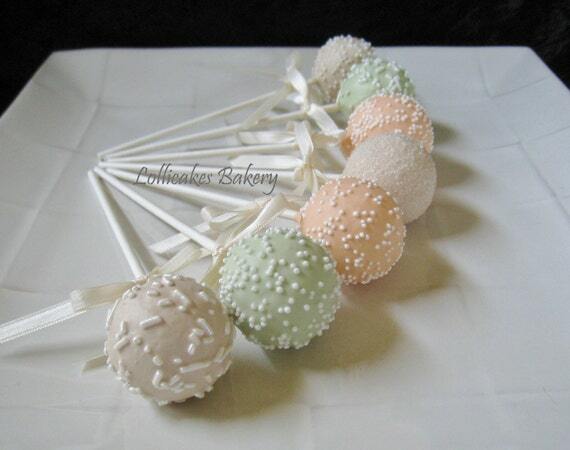 Cake pops are great as a gift, party favor, table setting, or at a dessert bar, or candy buffet. Made with high quality chocolate and ingredients, in an FDA approved commercial kitchen.